A coalition of environmental groups, economic interests and educational foundations has set a goal of getting 10 billion oysters in the Chesapeake Bay by 2025. WASHINGTON — A coalition of environmental groups, economic interests and educational foundations has set a goal of getting 10 billion oysters in the Chesapeake Bay by 2025. Will Baker with the Chesapeake Bay Foundation said oysters are a keystone species and are vital to the health of the bay. “They’re elegant filter feeders, they consume algae, they remove sediment and they clarify the water,” Baker said. The 10 billion oysters goal is ambitious, but achievable, he added. While there’s reason to be positive about the condition of the Chesapeake Bay, Baker said there’s intense pressure on programs that rely on federal funding. “The resources needed to maintain our current efforts are in short supply. We must make the case to Congress that this funding is critical,” Baker said. John Racanelli, CEO of the National Aquarium, said oysters are not only great filters for the waters of the Chesapeake Bay, but they serve as a sort of coral reef, providing habitat for other bay creatures. Johnny Shockley, the founding partner of Hoopers Island Oyster Company in Dorchester County, Maryland, said over the years, environmental advocates and businesses in the Chesapeake Bay haven’t always agreed on how to preserve the fisheries. But the new partnership offers new promise. “I believe oyster farming is the new growth industry on the Chesapeake, and this partnership supports its long-term viability,” Shockley said. Even people who’ve never been to the Chesapeake Bay can help the coalition reach its 10 billion oyster goal. 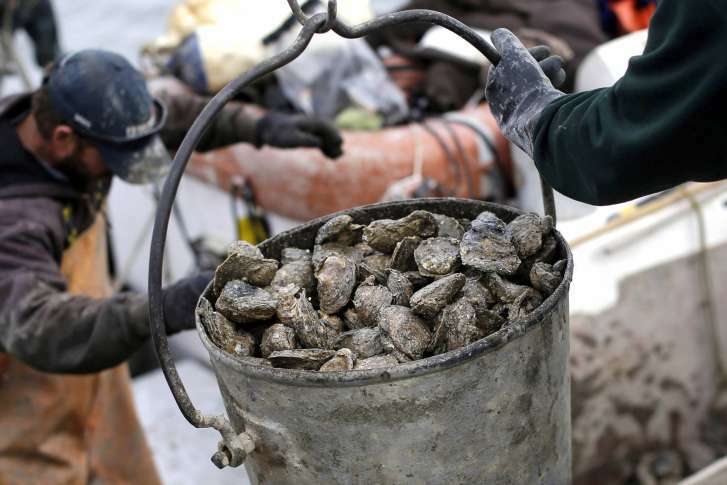 Anyone who has ever enjoyed oysters but wondered what to do with the empty shell is being encouraged to recycle them at drop-off locations from Annapolis to Chesapeake Beach. The shells are used in a variety of restoration projects. Learn more at the project’s website.